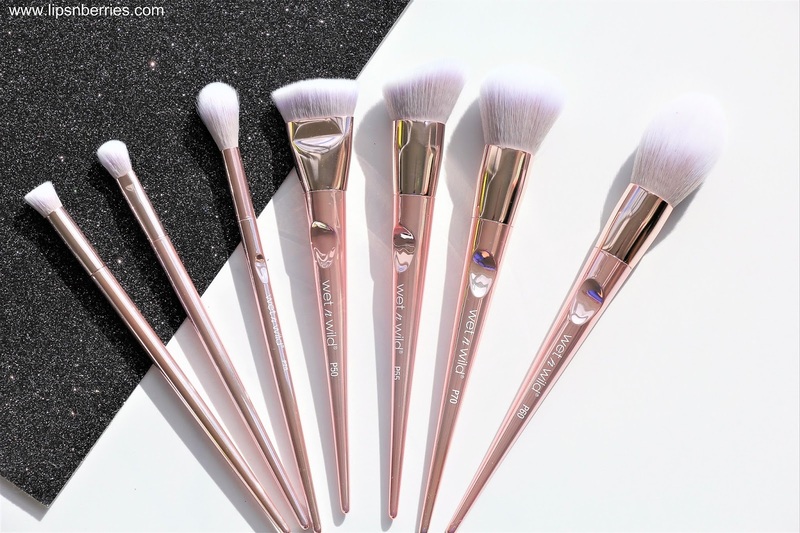 Wet n Wild Proline Brushes- Review, Pricing and all the details you need to know | LIPS n BERRIES! Oh Makeup Brushes! You know the tools that make or break your makeup look. They have the power to give you a well blended eyeshadow or a blob/smudge in its name. 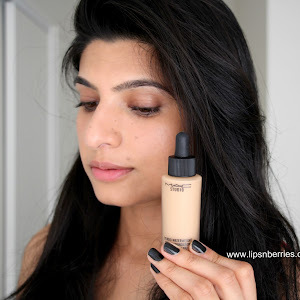 It's what gives your foundation a flawless finish or streaky messy affair. It took me a good few cheap purchases to realize that investing in tools of the trade is not a cost but an investment, so in last years, I've phased out all my eBay bought brushes and focused solely on quality brushes. 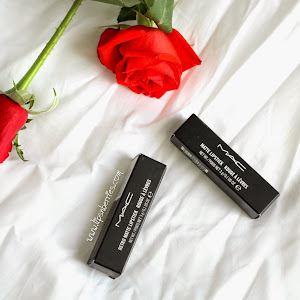 Real Techniques work for me and so does MAC ones, which are by the way totally out of my budget but I've been lucky to be sent a few with PR releases in last few years. They are worth the price as they last so long, but it still takes some serious saving to purchase some MAC's. Enter Wet n Wild, you know that brand that has always impressed me with their affordable yet amazing quality products, be it their foundation (review to come), lipsticks, highlighters or makeup brushes. Their latest Limited Edition Collection is the Proline Brush Collection, which I admit got lots of oohs and aahs from me on my Instagram Stories. You have to see their beauty to believe them. 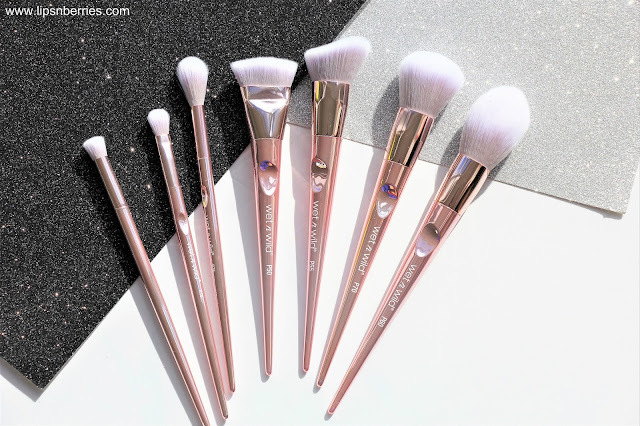 Electroplated pink brushes with beautiful sleek design, cruelty free and vegan. Beauty aside, I've been using them for a good few weeks now and I can confirm they are great for the price range and quality you get. 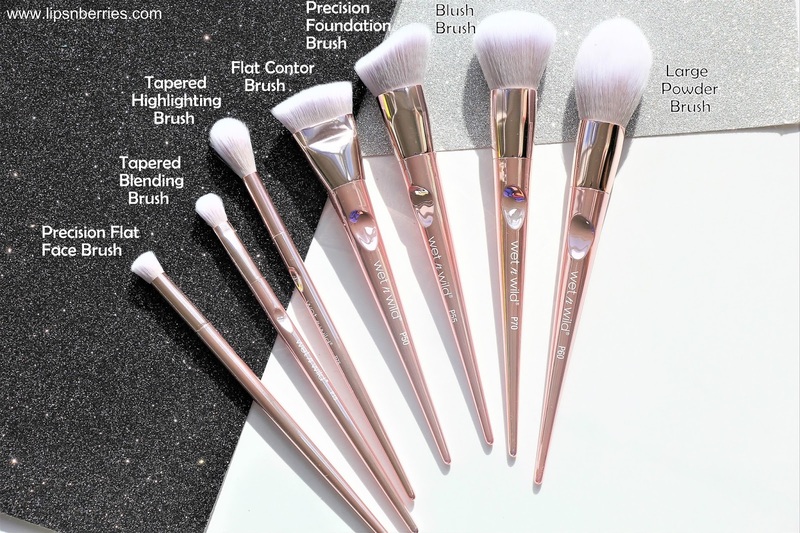 The 8 new brushes (I received 7 in my media pack) are all for different parts of the face. The collection covers all your makeup brush needs. The price range is from $13.99 to $16.99 NZD each. I'm gutted that these are limited edition so you really have to grab them in the first go. Most of them are already sold out online on Farmers NZ website but stores still have stock. I've been using them for last few weeks now and I find them quite interesting. Design wise, these are the most beautiful, ergonomic brushes I've seen and used. The groove in the front is just so perfect to hold the brush and guide it precisely. The shaft is strong and metallic. They look great on my desk and definitely the softest I own too. Use wise, I find some brushes very good and others not that great. My best pick from the bunch is the Precision Foundation Brush ($16.99). 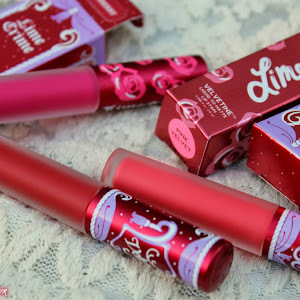 It blends liquid foundation beautifully, has super dense synthetic bristles and feels very soft on face and yet has a firm hold. Due to its slant design, it makes it easy to move around the face and in the grooves such as nose, upper lip or even the hair line. My second best pick from the bunch is the Tapered highlighting brush ($13.99). It has the softest and just the right amount of bristles for highlighter application, be it on cheekbones or the narrow bridge of nose. My third best pick from the Proline Range is the Blush Brush ($16.99) which I've just realized is what I've been using to put powder all over my face & I think it is the best use for this brush. As a blush brush, the bristles are way too dense and so it applies concentrated color to cheeks as opposed to the blended seamless natural flush. I would still prefer my Real Techniques Powder brush over this one as my Face Powder brush but it is still an amazing brush when you have to powder small areas like under eye or powder heavily ( as in Baking). The other 4 brushes I received didn't get much use as I haven't done much eye makeup in last few weeks. But this is not to say that they were not of good quality. They were superb the few times I used them but I didn't get to use them enough to be able to recommend them wholeheartedly. The Flat Contour Brush ($16.99) was a very interesting one as it was for contouring but was very densely packed and a lil stiff. I found it hard to use it with my Benefit Hoola Powder Bronzer. I'd suggest to go for it if you use liquid contour. The application was quite hard with powder (think harsh lines). I think it'll definitely suit liquid or cream contour. I did not receive the Dome Pencil Eye Brush ($13.99) but I'm planning to pick it up as it looks like a great under eye brush, for that smoky effect. you know! I'm always on a look out for good eye brushes so I'm looking forward to trying that one out. The remaining two brushes - Tapered Blending brush ($13.99) and Large Powder Brush ($16.99) were not an instant hit with me. I've been unable to form an opinion on them yet. Overall, I think these Wet n Wild Proline brushes are a great bunch. If you are looking for something that is both ethical and aesthetically pleasing, it can't get any better than these metallic pink beauties. 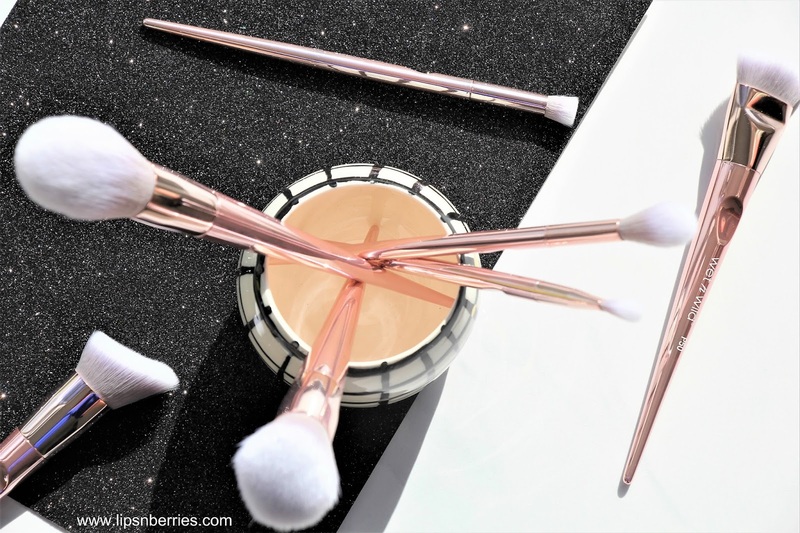 I highly recommend checking out the Precision Foundation Brush and the Highlighting brush or maybe the Blush brush as well but to use as a Face Powder Brush. They are all very affordable but Limited Edition so get them quick. Have you used Wet n Wild brushes before? How do you find their quality? Any must haves from Wet n Wild? 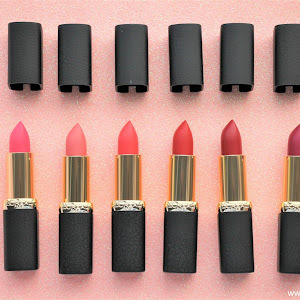 Mine are going to be their Catsuit Liquid matte lipsticks forever. So So good!